In the new dynamic economic environment where supply chains increasingly face constant change and instability, the better supply chain planning and management enabled by advanced data management systems provides enhanced value proposition for customers resulting in improved profitability for firms along the supply chain. However, achieving such high quality level of supply chain visibility is not an easy task requiring technological capability, organizational willingness and data quality management intensively demanding attention from both managers and scholars. 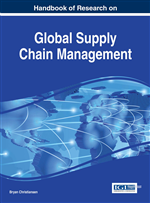 Therefore, the chapter begins with an overview of the role of information systems in supply chain management followed by a discussion regarding the role of information quality in successful supply chain interactions. Data quality management in terms of strategy and data governance is then reviewed. Finally, data quality tools complementing strategy dimension of data quality management are studied. Information sharing systems play an important role in the success of supply chain management through enabling the access of supply chain partners to quality shared information. Sharing useful, accurate and accessible information enables firms to quickly learn the dynamics in their supply chain environment (Pereira, 2009). This important process provides valuable knowledge about the supply chain context for eager and attentive supply chain managers to make effective and efficient decisions. Such precise decisions lead to planning and controlling supply chain processes in a productive manner that is never possible without proper access to quality shared information. Consequently, information quality problem is now a top priority concern for many aspiring supply chain managers.